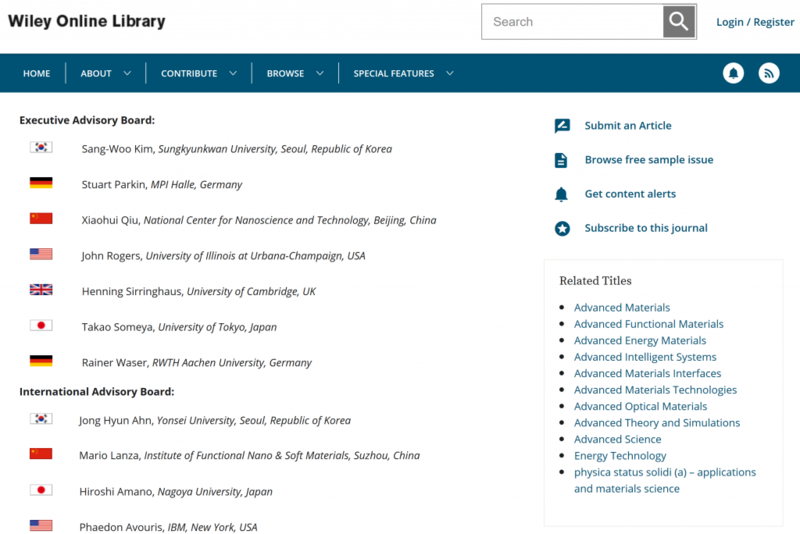 Professor Mario Lanza has been recently appointed as member of the Editorial Board of Advanced Electronic Materials, a multidisciplinary journal from Nature Publishing Group with an impact factor of 5.466. Prof. Lanza has joined the “Electronics, Photonics and Device Physics Panel”, and he will be in charge of: i) assessing whether manuscripts should be sent for peer review, ii) managing the peer review of manuscripts and make final editorial decisions – whether to accept, reject or allow resubmission, and iii) act as an advocate for Advanced Electronic Materials. This is an important achievementand, together with his previous appointment at the board of Crystal Research & Technology (Wiley-VCH), indicates the high influence of Prof. Lanza in the field of electronics and applied physics. Congratulations !! !